North West Scotland will join a Europe-wide network of rock events this week to celebrate its fantastic geological formations. North West Highlands Geopark became Scotland’s first European Geopark last year and is now amongst 25 sites across Europe which will run events about their special geology during European Geopark Week (27th May – 4th June). In the North West there are a range of guided walks on offer, led by the local Rangers and geologists from The British Geological Survey and supported by Scottish Natural Heritage (SNH). On these excursions you can find out about the forces which have shaped the landscapes you are walking on and living in. Did you know that there are garnets hidden in the rocks at Scourie? 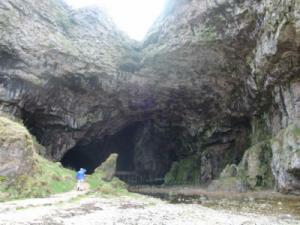 Have you heard about the human and geological stories of Smoo Cave? Can you spot the impact of the Ice Age all around you? Have you visited Knockan Crag National Nature Reserve – where you can ‘Discover the World’. To hear these stories, enjoy these landscapes and learn a little more from inspiring experts - get along to some of those special European Geopark Week events. For those who can’t get away during the day there are three illustrated talks in the evenings looking at ‘Birds of Prey’, ‘The Ice Age’ and ‘Deep Time’. The activities programme run by the Geopark over the autumn and winter last year attracted almost five hundred people – in an area with a population of around 2000! Geopark status is a European accolade and is recognised by UNESCO. It was awarded to the North West Highlands because of the area’s special, diverse geology and landscapes, which stretch from Achiltibuie and Knockan in the south to Cape Wrath and Loch Eriboll in the north. The area’s existing impressive geological visitor facilities were also an important factor in the area becoming a Geopark. SNH’s visitor centre at Knockan Crag National Nature Reserve, where the near horizontal sliding movement or ‘thrusting’ of older rocks over younger was first identified, explains the amazing geological story of the area. Over the winter the Geopark Steering Group commissioned a Marketing Study to find out how best to promote this wonderful area. Since a key aim of the Geopark is to achieve positive economic impacts it is very important to seek out the best marketing options for what the North West have to offer. This year an important task is to seek permissions for appropriate boundary signage so that visitors know when they are in the Geopark. The improved air links out of Inverness are proving very helpful for Geopark developments. In September an international delegation will fly in from Belfast to enjoy a fieldtrip in the Geopark. This will provide the opportunity to showcase the North West to a whole new group of people who may well bring other groups to the area in future years. The Geopark Network is going global very quickly. There are Geoparks currently being developed in Africa, South America and Australasia. China already has a number of spectacular Geoparks and the Chinese people are a new and growing tourism market. Join this global activity aimed at developing and enjoying places all over the world with special geology, scenery and people. Go along to one of the North West Highlands events to celebrate European Geopark Week. For more details: see leaflets in a wide range of local outlets or www.northwest-highlands-geopark.org.uk . To view a selection of pictures from the Geopark Launch last September, which featured lots of activities and music, please take a look at the Archive section on the website. The North West of the Highlands is the first area of Scotland to be awarded UNESCO-endorsed European Geopark status following an announcement made this morning in Sicily during the European Geoparks Networks annual meeting. Geopark status has been awarded to the area which encompasses parts of Wester Ross and the whole of North West Sutherland on the basis of its outstanding geology and landscape, the strength of its partnership approach to sustainable economic development and its existing geological interpretation facilities. Stretching from Coigach in Wester Ross to Cape Wrath and Loch Eriboll in the north, this 2000 square km area takes in some of the finest mountain and coastal landscapes in Britain and contains a wealth of classic geological localities. It includes the iconic mountains of Suilven, Arkle and Stac Pollaidh, the pristine beaches of Sandwood and Balnakiel, and dramatic coastal cliffs such as those at Cape Wrath, mainland Scotland's most north-westerly point. 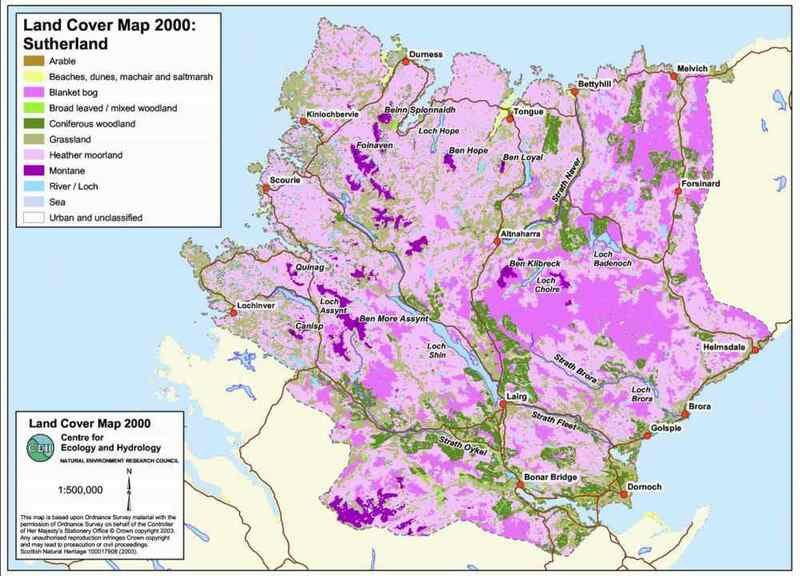 Within the area are Assynt-Coigach and North West Sutherland National Scenic Areas, two National Nature Reserves, 54 Geological Conservation Review sites, geological sites of Special Scientific Importance, Special Protection Areas and Special Areas of Conservation. There are also a significant number of historical and archaeological sites, including scheduled monuments and listed buildings. Officials from The Highland Council and the British Geological Survey who have been working closely with the local communities to put together the bid, travelled to Sicily to give a presentation at the annual meeting of the European Geopark Network and were present when the announcement was made. Convener of The Highland Council, Councillor Alison Magee said: "This is wonderful news. The rich natural heritage of the North West Highlands is recognised not only in the high number of designations we have but also in the number of geology students from all over the world who visit the area as part of their studies and the rising number of tourists who specifically come to walk the hills and admire the beauty of the scenery. From the early evidence of human habitation in Scotland, through to Norse settlements, the Lordship of the Isles to the Clearances, crofting and recent land reform, the human story can be traced in the unique landscape we have that dates back over 9,000 years." Dr Maarten Krabbendam, Project Leader of the British Geological Surveys Moine Thrust Project, said: "Scotland's first Geopark contains some of the most important and diverse geological and geomorphological features in Britain. 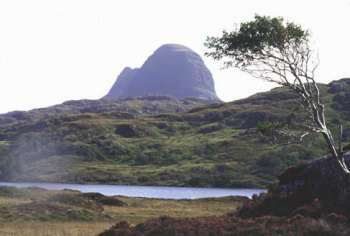 It is internationally renowned for a variety of features including Britain's oldest rocks and a famous structure known as the Moine Thrust. This type of geological fault is more clearly visible here than almost anywhere else on the planet. The area has also been key in the historical development of geological science. 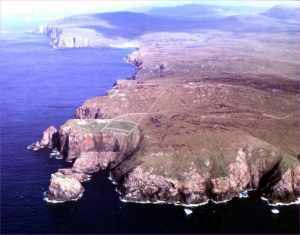 Famous geologists of the 19th century such as Roderick Murchison, Archibald Geikie, Benjamin Peach and John Horne, cut their geological teeth on the rocks of Sutherland. Research using modern survey techniques into the same rocks, structures and geomorphological features in the area continues today. What makes the area so attractive is the very strong link between geology and landscape since every rock type has its own unique landscape." Unlike a National Park, the award of Geopark status does not place any restrictions on the management of the land so no new planning or land use policy will be introduced. Geopark status is for a period of three years after which membership will be reviewed. The Highland Council's Sutherland Area Chairman, Councillor Francis Keith said: "This news will have a tremendous benefit to the area and will spark new and exciting initiatives. We will now be able to market and promote ourselves internationally with the prestige honour of being Scotland's first designated European Geopark and I am confident that this will significantly enhance new funding opportunities for individual projects. It is now our responsibility to protect and promote the geological heritage and to use our natural and cultural heritage to encourage sustainable economic development." A Geopark Action Group has been established to oversee the running and policy direction of the Geopark. This is made up from representatives from The Highland Council, British Geological Survey, Scottish Natural Heritage and the local enterprise company together with a range of local stakeholders whose aim is to raise awareness of the North West Highlands Geopark locally, nationally and internationally. Lesley Cranna, Area Manager for SNH's North Highland Area said: "I am delighted that SNH's new National Nature Reserve at Knockan Crag and our rock route trail have made a significant contribution to the successful geopark bid. We are looking forward to working with the wide range of local groups and agencies involved in the geopark to raise awareness of our geological heritage, to promote its sensitive management and to encourage more people to come to the area to enjoy it." Included within the Geopark is the community of Assynt which is concentrated in small crofting communities, the majority of which lie along the rugged coastline, either to the north or south of the village and fishing port of Lochinver. Chairman of Assynt Community Council Ron Evans said: "It is very rewarding to learn that considerable efforts by national organisations and community groups, co-ordinated by The Highland Council, have resulted in the granting of Geopark status to the North-West of Scotland. Organisations in Assynt will continue their endeavours to promote local economic regeneration knowing that international recognition of the area as a special place will be invaluable." Chris Rix, Assynt Field Centre, Inchnadamph said: "The Field Centre is already used as a base for field studies by students from both UK & overseas universities, and the area's status as a European Geopark will help attract an even wider mix of professional & amateur geological enthusiasts to the north west. It presents an excellent opportunity for us to promote our wonderful landscape and natural heritage." Neil Campbell from Loch Assynt Lodge Estate said: "The area is unique in lending itself to the whole spectrum of geological study, from beginners to experts. No where is such complex geology better exposed, allowing the layman to understand the forces of nature and yet complex enough to continue to puzzle the professional geologists." There will be an official opening of the Geopark next year and a Geopark Officer will shortly be appointed to identify and develop community-led projects. Since securing Geopark status these areas have seen considerable benefit through increased nature-based tourism.